After just 5 days of being listed on HitBTC.com, Verasity’s VRA (ticker) zooms to number 1 Price % increase among the 400 other alt tokens listed on HitBTC. The prize pool of the trading competition is now 30 million VRA tokens, which is a huge increase from the initial 3M prize pool. Sign up to the HitBTC trading competition page to enter the competition and start trading. The Verasity Player is now integrated with JW Player, Brightcove and VideoJS. Vimeo and Kaltura are to be integrated in April. This means the Verasity module works in most of the standard Online Video Players in the world. The Verasity Player provides publisher in-video loyalty schemes utilizing VRA as a reward. For publishers and advertisers, this means 4x the fill rates and Click through Rates which equates to 4x higher revenues and engagement. This brings engagement, audiences, and revenues back to video publisher sites from YouTube. Our attention-based model creates a thriving VRA token economy between viewers, video publishers and advertisers.Verasity is the future of online video. VRA is trading on HitBTC.com and the token can be staked for 36% annual interest at https://verawallet.io. 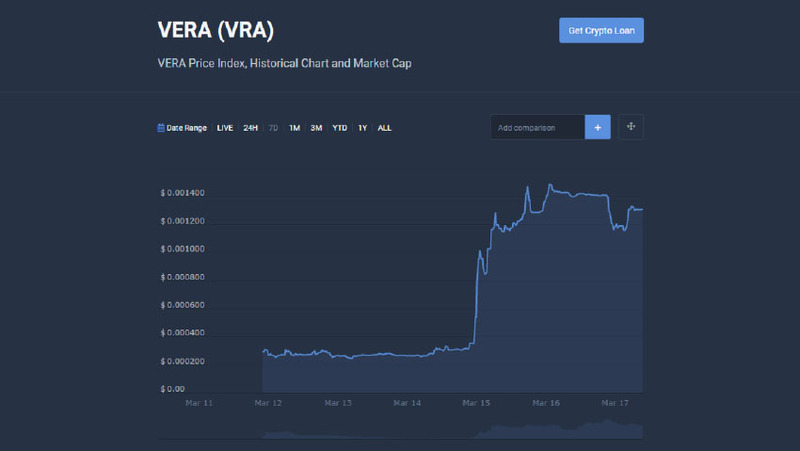 Check the price of VRA token at https://coincodex.com/crypto/verasity/. 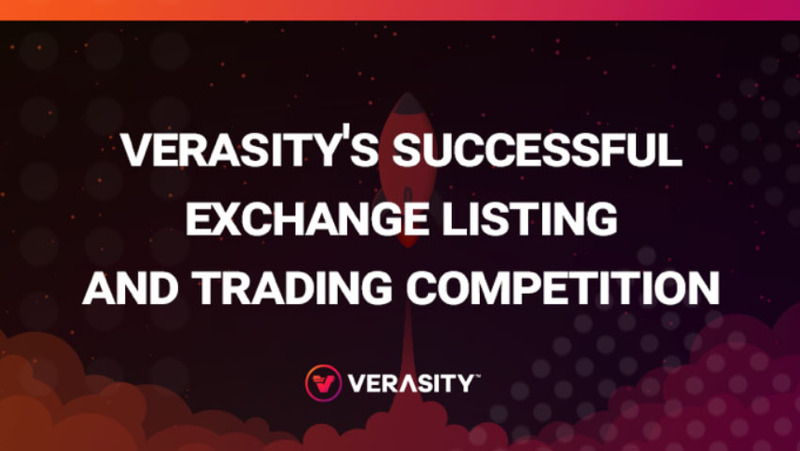 Join our telegram chat at https://t.me/verasitychat. HitBTC is top 10 exchange on CoinMarketCap with a daily volume of $440M. HitBTC has been active since 2013 and has earned its reputation for fault-tolerance, flawless uptime and high availability.